In 1935, Count Felix Schaffgotsch was commissioned by Union Pacific Railroad to begin a search for the perfect North American ski destination. After months of exploring the western United States the count found Ketchum Valley and was overwhelmed by the area’s terrain features and charm. After just seven months of construction, Sun Valley opened to the public for the winter of 1936. Sun Valley Resort is a unique combination of old-world European styling mixed with a wild-west heritage. Sun Valley is a ski destination that every skier should have on their bucket list. Sun Valley is situated across two mountains; Bald Mountain and Dollar Mountain. 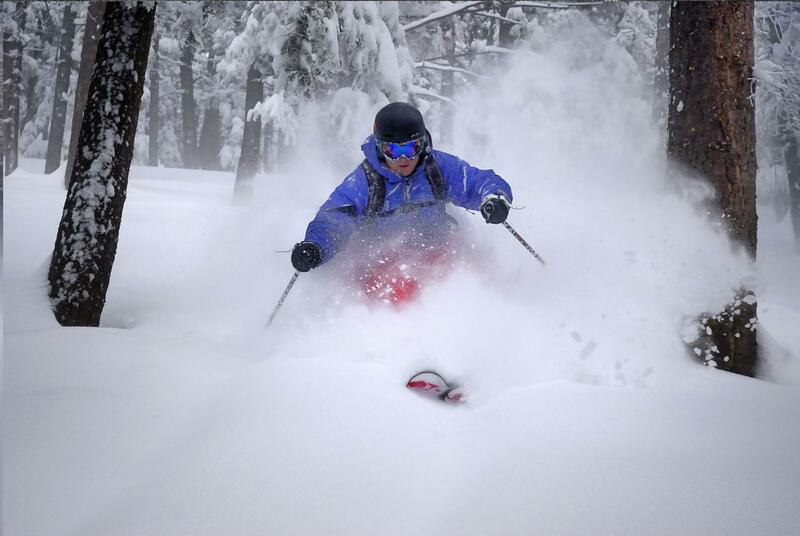 Baldy offers expert skiers and snowboarders a variety of challenging bowls and glades off the peak, while Dollar Mountain is a beginner's dream with gentle, perfectly groomed slopes. Sun Valley is serviced by a modern lift infrastructure and a well designed trail system. The resort has terrain for all ability levels and has over 2000 skiable acres. Sun Valley Resort has been welcoming skiing enthusiasts since the winter of 1936 when the lifts started turning. The resort was the first ski area in the world to install chairlifts. Developed in Omaha, Nebraska at Union Pacific’s headquarters, the Original Proctor Mountain Ski Lift is based on a banana loading conveyor used for loading the fruit onto ships. To enjoy the total Sun Valley experience, one must stay at the famed Sun Valley Lodge. This is where filmmaker Warren Miller slept in his trailer in the parking lot, stole oyster crackers from the kitchen, and began his amazing film-making career. Get Snow Reports, Powder Alerts & Powder Forecasts from Sun Valley straight to your inbox!